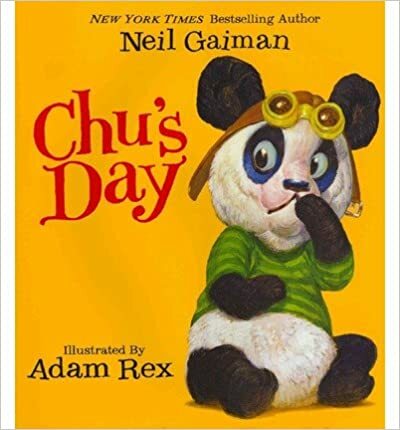 Chu’s Day by Neil Gaiman – a more simple yet deep story is hard to find. I love this book for how simple its message is, ilove this book for how funny it is, and I love this book because before I read it aloud I get to tell my new students about how Thea giggles every time Chu almost sneezes. 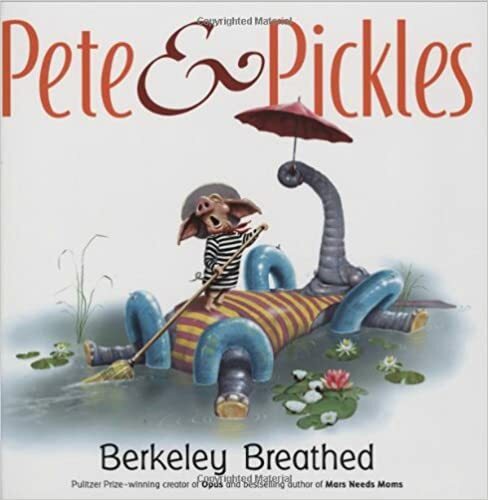 Pete & Pickles by Berkeley Breathed – I fell in love with this book this summer after Carrie Gelson recommended it. A deep story of love and friendship with simply beautiful illustrations. I cannot wait to see how my students react to it. 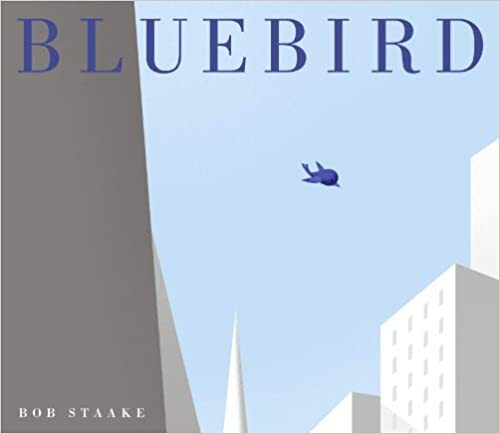 Bluebird by Bob Staake– I never got wordless picture books until last year. Now I love this book for how the students will be able to go beyond the pictures and tell the story in their own words. And the message? Oh my, what a message. 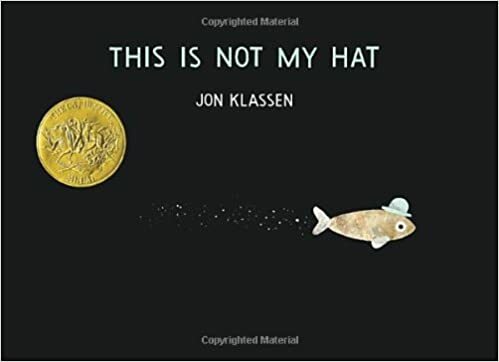 This Is Not My Hat by Jon Klassen – we love all of his books but this has been a favorite for a while now. I think my students will find it just as funny as Thea does. 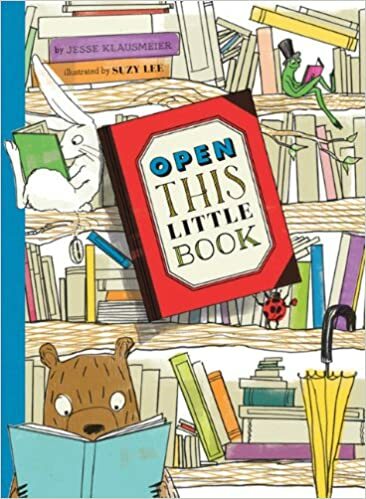 Open This Little Book by Jesse Klausmeier – we were lucky enough to see Jesse in person this summer and the way she pointed out all of the details in the illustrations and made the story come alive made me want to share this early with my new students. I cannot wait to see which discussions this will lead to. 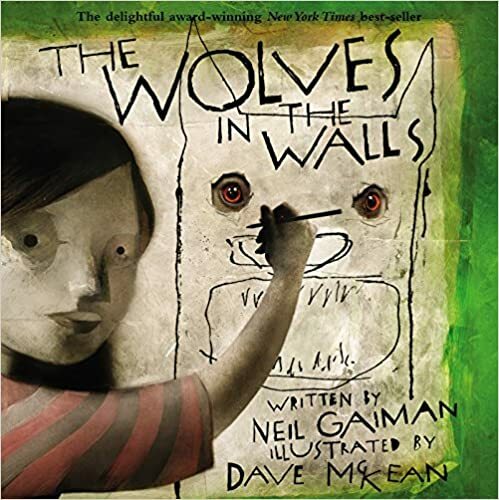 The Wolves in the Walls by Neil Gaiman – I love Neil Gaiman but there is a reason for that. He writes such a variety of books, he is brilliant, and this book is scary and funny at the same time. I use this as an all school secret read aloud every year and there is a reason it continues to be a favorite. 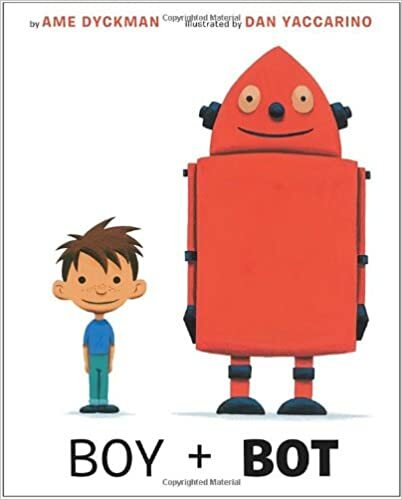 Boy + Bot by Ame Dyckman – I have been slightly obsessed with this book for about a year now, I don’t know what it is but it just makes me smile. And it makes my students smile. So one day very early on we will all settle in for the story of a beautiful friendship between a boy and a robot. 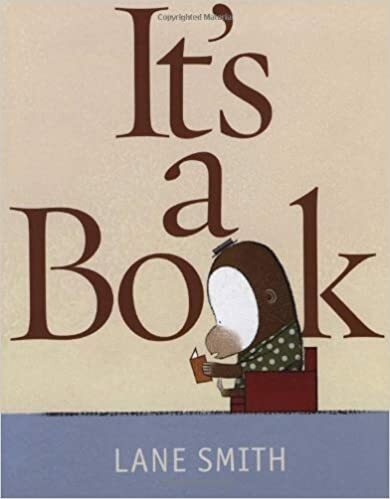 It’s a Book by Lane Smith – This book crack sme up every time I read it and I think my blog savvy students will as well. 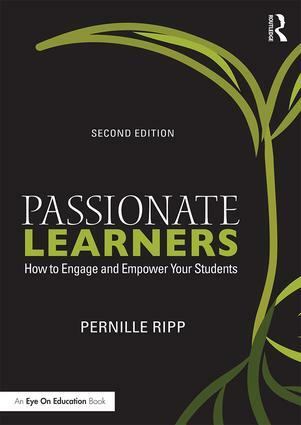 I love the message of this book as it shows the power of a book and cannot wait to share it. 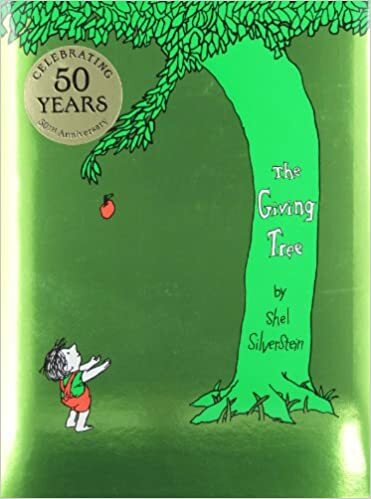 The Giving Tree by Shel Silverstein – This book takes on a deeper meaning every time I share it with someone. 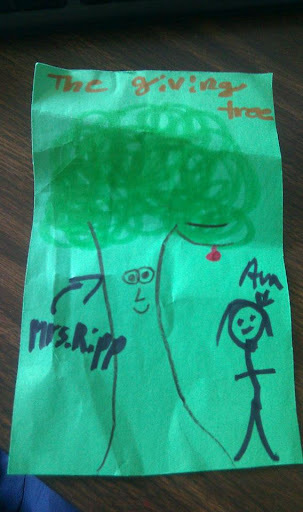 I once had a student call me the giving tree and I cannot help but tear up a little every time I think of that. I have yet to decide whether the tree is foolish or simply in love, I cannot wait to discuss it with my students. 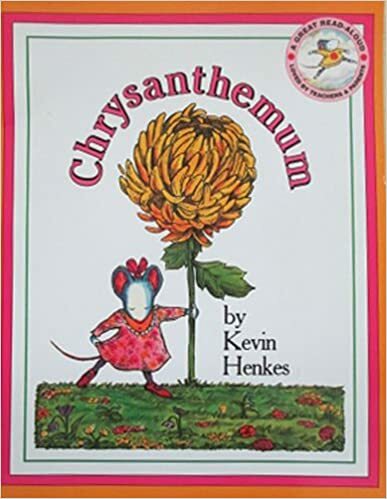 Chrysanthemum by Kevin Henkes – My great friend gave me this book shocked that I did not own it or know it. 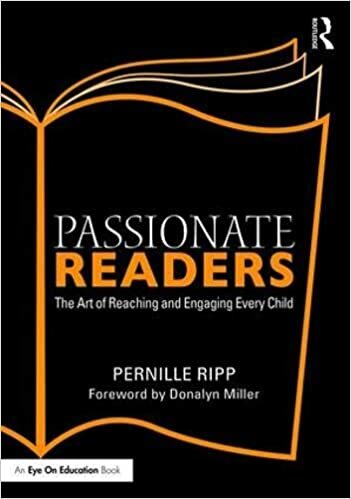 After I read it, I saw why this is a classic for any classroom as we build community and try to see how we all fit together in this new constellation. These 10 books barely scratch the surface of what I cannot wait to share with my students, but these represent some of the first ones I will pull off the shelves as I ask them to enjoy a tale, to sit back and listen, to discuss and explore the deeper meanings of these books. Another year awaits, a new groups of kids await, and I can’t wait. Ahhhh… Chrysanthemum! After 7 years in second grade, I just cannot seem to give this one up. It will be one of our first read alouds again this year. You’ve got a great blend of new and classic books. Thanks for sharing your list! We overlap on a few (and I almost when with a few others), but Pickles and Pete and The Wolves in the Wall are both new to me. Happy reading! I enjoyed seeing your pic and perusing the list! Many if my favorites of all time are on your list! I want to check out Pickles and Pete and It’s a Book! Thanks for sharing! Isn’t it hard to pick just 10?! You have many interesting titles here. Chrysanthemum is one of my all time favorites. Students always enjoy hearing this story — and many others by Kevin Henkes. Chu’s Day and Pickles are new to me. Looking forward to checking them out. I would add The Recess Queen by Alexis O’Neill. This book addresses bullying and leads to a great conversation about why some students might bully and ways to turn that around. The language in the book is such fun to read…. I would practice reading it out loud before reading to the class!